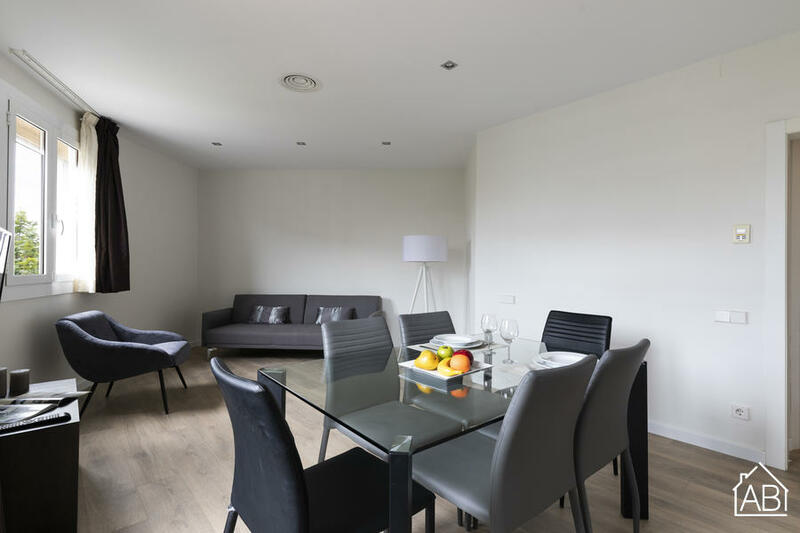 This spacious apartment is located near Plaça Espanya in Barcelona. In this area you will find countless bars, cafés and restaurants. There are also a number of supermarkets nearby and the Las Arenas shopping centre, a former bull-fighting ring, is just a few minutes walk away. Parc de Joan Miró is situated next to the apartment and provides the perfect place to relax and take in the works of Miró. The Fira de Barcelona is also located nearby to this apartment. The apartment itself can sleep up to 6 guests with 6 single beds distributed throughout the apartment. The apartment itself is modern and has been recently refurbished, ensuring that you have a comfortable stay in Barcelona. kitchen is fully equipped with all the amenities you could possibly need and even includes a coffee maker, toaster, microwave, blender and kettle. This apartment also features a washing machine for your convenience. Complete with air conditioning and central heating, this fantastically-located apartment is the perfect Barcelona home at any time of the year. Please note: Due to technical difficulties, the elevator does not stop on the 3rd floor.